Call center QA is vital to the optimal performance of a customer contact center. If you are involved in the management of a call center, you will want to be certain that your contact center QA is working optimally to manage associate performance, understand call statistics, and improve customer service. Have clear, concise, measurable goals and make sure the whole team is aware of them. Contact center QA gives you the ability to track and measure associate performance and customer satisfaction. Before implementation, understand what your baseline is and where you want to be. Make these goals transparent to the team. This will help associates embrace the system and set their own goals. 2. Identify the metrics you want to track and how they will be used. There is a wealth of data available from contact center QA above and beyond that which is used to track associate performance. You can get a better understanding of statistics like call length, number of calls and transfers, peak volumes, etc. This data is valuable in planning staffing and training, but only if you are aware of it and have a plan for how to use it! 3. Involve associates- get their feedback and buy-in, where appropriate. Let your associates be involved in the call center Quality Assurance implementation process. Be up front with them about what is being done and why. The more engaged they feel, the more likely they are to embrace the process and work well within it. 4. Choose the right partner to help manage your call center Quality Assurance. Some aspects of call center QA are best left to experts. Make sure you have a trusted partner who understands not only contact center QA, but the specific needs of your business. It’s best to work with someone who can help customize you program. If your company is not currently utilizing call center QA, or if your call center QA can be improved, contact the experts at Evaluate Quality. 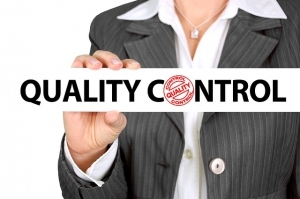 Whether you are in the Phoenix or Scottsdale AZ area or anywhere in the United States, the experienced team at Evaluate Quality can help design a software service specifically for your call center QA needs. Evaluate Quality, founded by Sage Advantage, is based in the Scottsdale/Phoenix area and has helped large and small organizations throughout the US implement and manage call center QA. With Evaluate Quality, you can harness best practices in call center QA to improve the performance of your contact center. Contact Evaluate Quality now for a demonstration of their software solutions.